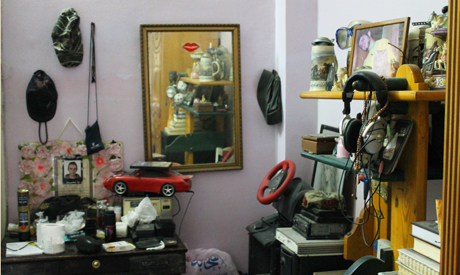 In a small bedroom in Alexandria adjacent to the sea, the belongings of a young man: new trainers, a computer console and homemade speakers are quietly gathering dust. Three years of dust, to be precise. 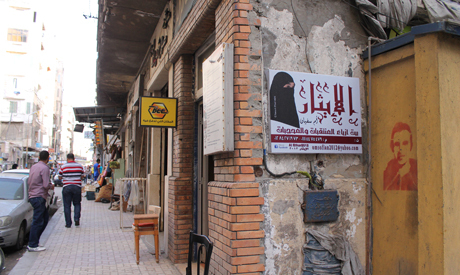 On 6 June, 2010 their owner a 28-year-old called Khaled Said left his desk to walk to an Internet café across the street and never came back. He was beaten to death by police officers in broad daylight. A photograph of his face on the autopsy table, mutilated beyond recognition, was the breaking point for the nation. Khaled became a symbol: on 25 January, 2011, his story brought millions of Egyptians to the streets. 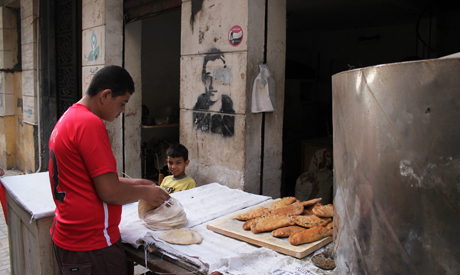 Exactly three years on, following a revolution, his family are back where they started in 2010. The two police officers Mahmoud Salah Mahmoud and Awad Ismail Soliman sentenced in October 2011 to seven years in jail for manslaughter are free, after they appealed against what they called a "harsh" verdict. The retrial begins next month. However, Khaled's lawyer, Mahmoud Afify, maintains the ruling is not severe enough. Under Egyptian law, a member of the police force beating someone to death is automatically classified as "torture", Afify explains, because they are "expected to know better." This carries a heftier sentence of 15 years, which is what Khaled Said's family are pushing for. "I feel like he died yesterday," says his mother Laila Marzouk sitting in Khaled's living room, islanded by pictures of her dead son. "We've been fighting this for years and we're are back at the beginning. We still haven't seen justice." Afify believes the ruling was just seven years because, post-revolution, the very people spearheading the investigations are part of the institution under scrutiny: the police force. "Same people, some practices. Nothing has changed." With only three police officers serving jail sentences for killing or injuring civilians since the start of the January 25 Revolution and President Mohamed Morsi publically praising the security forces, the fear is that the very killers whose brutality sparked the uprising, will not be found guilty for the crime they committed. Marzouk says she can only hope that the new judge will be fair. "I'm trying to believe in him, we see Egyptian people coming to the streets and fighting for an honest judiciary and fair court cases every week. Perhaps all of this will do something for us." It has been a struggle from the start, Afify explains, listing a catalogue of obstacles. Immediately after the murder, officers from the local Sidi Gaber police station took the eye-witnesses' phones and deleted all videos and photos of the crime: a damning blow to the prosecution's case. Those planning to testify and their families were subsequently threatened or bribed. The police attempted to prevent Khaled's lawyer from attending the investigation sessions. The initial forensic report said Khaled died from swallowing a packet of drugs. "I lost hope in the system then. There were people with pictures of Khaled outside the courtroom saying he was a drug addict," his mother explains, "The authorities offered to pay for my family to go on the Hajj pilgrimage if we dropped the charges." Then, she continues, the police stationed themselves outside the door of their flat and building. "We used to throw water at them from the balcony. 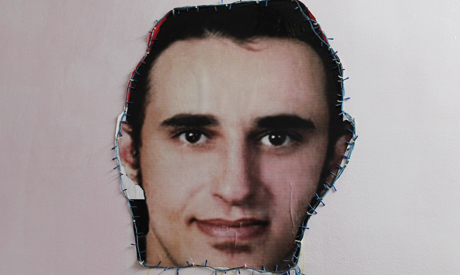 They even temporarily detained Khaled's brother Ahmed." It wasn't until the Alexandrian judge Ahmed Omar bypassed the police and personally carried out investigations himself, lawyer Afify explains, that key eyewitnesses, like the owner of the Internet café where Khaled was killed, felt safe to come forward. With mounting pressure from the street, the court brought in medical experts from the Universities of Alexandria, Cairo and Ain Shams who rejected the initial forensic report. The evidence began to fall into place. Marzouk talks of being bewildered as she watched the cult of her son grow. The iconic portrait of a young, confident man in a grey hoodie, which is stencilled on hundreds of walls across the country, hangs above her head as she speaks. "I remember walking down the street and hearing 'we are all Khaled Said' for the first time,'" she recalls, "Everyone was shouting my name. I was suddenly responsible: they began calling me the mother of all Egyptians." Since the revolution, she describes attending most of the funerals of young men tortured to death or killed in clashes with security forces: "I have a close connection with the mothers, we keep in touch, they are all my sons." Although public opinion changed after the revolution, the police have not, she adds. "When the first verdict was announced on 26 October 2011, police fans destroyed the court and attacked anyone supporting Khaled including activists and journalists. They threw cigarettes, papers and rubbish at us," Marzouk, her son Ahmed and his sister Zahara describe. A photo of Khalid's two siblings together was circulated as evidence Ahmed was an American spy married to an Israeli girl. The family received threatening phone calls calling them terrorists. 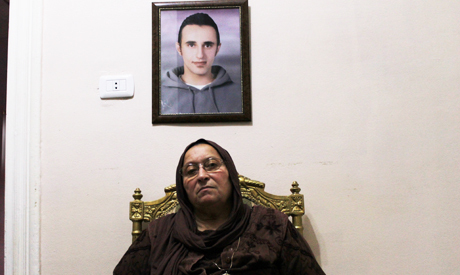 When the presidential elections kicked off in 2012, Khaled's mother started to be courted by would-be presidents who, she says, saw political capital in her, as a revolutionary icon. The then-hopeful Mohamed Morsi phoned her up during the final run-offs. With the retrial taking place next month, Khalid's court proceedings will have spanned three regimes: Hosni Mubarak, the military and now Morsi. Despite promises of security sector reform from the Muslim Brotherhood's Freedom and Justice Party and the president, analysts have seen no change. "There has been very little progress, aside from personnel appointments at the highest level in the Ministry of Interior… Mubarak's state security was superficially rebranded," explains Mara Revkin, a civil society researcher and Yale law student, working on new Egyptian police legislation. "The police force need to shift from protecting the state to protecting the people, which is a massive challenge that will take a while." It is essential to change the culture of fear and intimidation that is pervasive in Egypt's law enforcement and justice system, Revkin continues, which requires serious institutional reform and commitment from the ruling elite. Instead, new legislation, like the Witness Protection Act, is being drafted by Egypt's upper house of parliament the Shura Council, she adds, which if ratified would see the very police force who terrorise witnesses put in charge of their safety. The Brotherhood's Freedom and Justice Party and the president maintain change is happening but it will take time. “Reforming and purging of the police was one of the main goals of the January revolution and still is because Egypt is in dire need of security, but not on behalf of the freedoms and dignity of citizens,” FJP leading member Essam El-Erian said in press statement in February. Morsi himself put security at the top of his agenda during his first 100 days in office and has repeatedly pledged reform. Back in Alexandria, as the family prepares to go through the grueling court process again, promises of change give little reassurance. "One of the last things Khaled told me before he died was the he was planning great things, he never told me what but it happened," Marzouk says, "People have told me his death destroyed a wall of fear the country faced and so the street moved. This movement forward cannot be stopped."